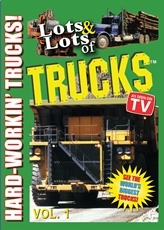 LOTS and LOTS of TRAINS DVD Vol. 1 - Smokin' Steam and Diesel - Marshall Publishing & Promotions, Inc. Check out the 2 DVD or 3 DVD Set and Save Money!! It’s Tons of Train Fun for Everyone!! 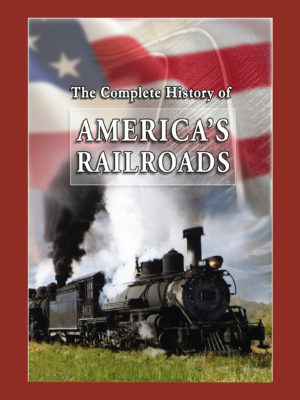 No matter what your age, if you love trains, we guarantee you’ll love this new DVD! It’s the biggest collection of trains ever recorded on one program! 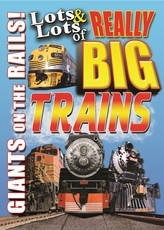 THERE’S OVER 300 SHOTS OF TRAINS ON THIS DVD! You’ll see big trains, little trains, steam, diesel, freight and passenger trains, even trains from around the world! There’s old trains, new trains, fast trains, slow trains, city, country and mountain trains, even trains that blow through snow! Plus, garden trains, scenic trains, electric, monorail and long forgotten trains. And, there’s even toy trains, trolley trains and lots of “gee whiz golly” trains; they’re all a part of this exciting collection of the greatest trains in the world! SPECIAL BONUS FEATURES INCLUDE: The Lumberjack Special and Lots and Lots of Toy Trains! 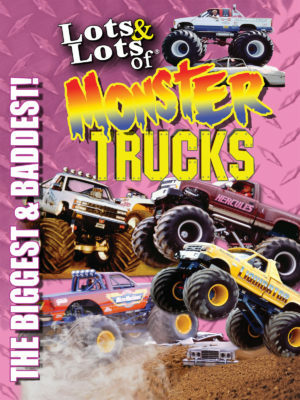 Spectacular close-up camera footage combined with award-winning sing-a-long song music by James Coffey and lots of real-life sounds make the thrilling action of these mighty machines a favorite among young and old alike! A PARENT’S CHOICE and KID’S FIRST AWARD WINNER! Collect the entire series of “Lots and Lots of” DVDs, CD’s and Books! YOU CAN NOW DOWNLOAD YOUR FAVORITE SONG OR THE WHOLE COLLECTION OF GREAT MUSIC FROM THE LOTS & LOTS OF TRAINS SERIES! HERE’S WHAT OUR HAPPY CUSTOMERS HAVE TO SAY – GREAT REVIEWS! All together, though, I would say this tape is great. You get a wide variety of trains, and, if you haven’t seen one they show, you must not see trains very often!! I bought this video because my 3 year old loves trains. This video is just trains and a little music. My son asks for “Lots and Lots of Trains” on a daily basis. He also has “There Goes a Train” which he likes, but that is for an older child, in my opinion. If you have a toddler who loves trains, then he or she will love this movie! This video with no narration, was an instant hit with my 3-yr. old train fanatic! And it’s something parents won’t mind sitting through. Highly recommended. I think we’ll get the Vol. 2 as a result of watching Vol. 1. No-nonsense video Reviewer: A viewer This video contains only trains – none of the hokey actors and dialog that come on so many videos geared to children. Parents will find it interesting to sit through! Kids love it! Reviewer: A viewer One of the best train videos we’ve ever owned. Our son watches this video more than any other train video. Won’t go to sleep without it! 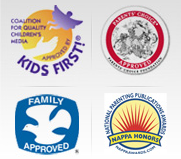 Award-Winner!Reviewer: A viewer This wonderful video has received a “Kid’s First” endorsement from the “Coalition for Children’s Media” and approval from “Parent’s Choice”! Reviewer: A viewer After seeing this video advertised on TV over and over again I am happy to finally find it here on Amazon. It is absolutely the greatest train video we own. The kids just love it – they sing the theme song over and over again – it’s quickly moving and keeps the kids glued to the TV. There is also a volume 2 of this tape which has even more trains on it.